I know a lot of you have kale in your fridge right now. The reason I know this is because I went grocery shopping a couple days before the new year and the produce section was jammed with people in preparation for complete body transformations. As I was wondering what the hell I was doing there, I noticed there had been, in particular, quite a run on kale. And yes, I noticed because I too, was there to purchase some, along with various other green things. I’m not truly hoping for complete body transformation but it would be nice to comfortably button my jeans again. Another thing I’m fairly sure of is there are some of you who have no idea what to do with the kale currently occupying space in your crisper. It is for you I offer this simple salad. For me, the key to a good kale salad is first, buying the right variety. 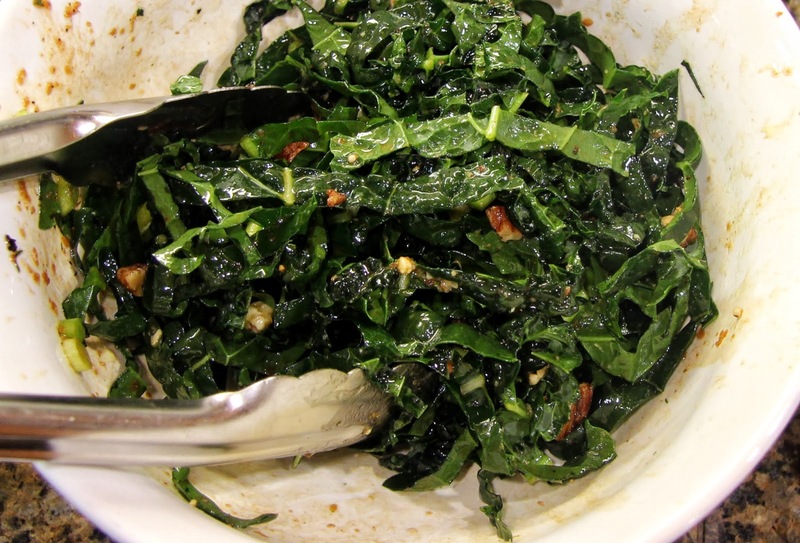 Dino kale, also known as Tuscan or black kale is my favorite. The leaves are dark, wide and slightly more tender than the curly kind, making them perfect for cutting into very thin strips (chiffonade). The next important component is a good balsamic vinegar or citrus juice that will add great flavor and work to tenderize the leaves. 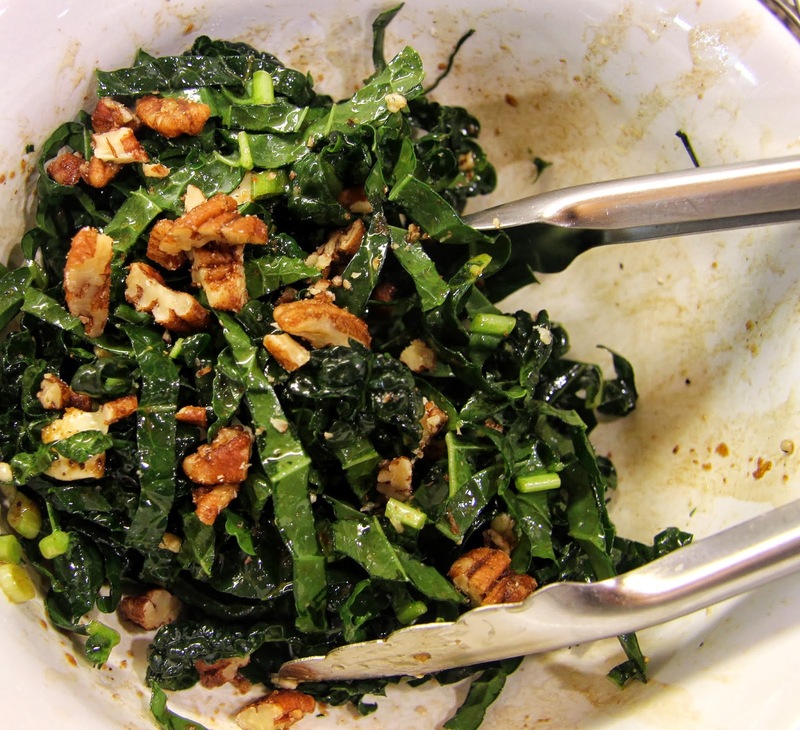 Then comes the olive oil to nicely coat the thin strips of kale and some strong flavor components such as cheese, nuts, and dried fruit. You should use this recipe as a guide, substituting or adding different vinegars, cheeses, nuts, etc.. Serve alongside your favorite lean protein and you will (hopefully) be feeling super healthy and satisfied. 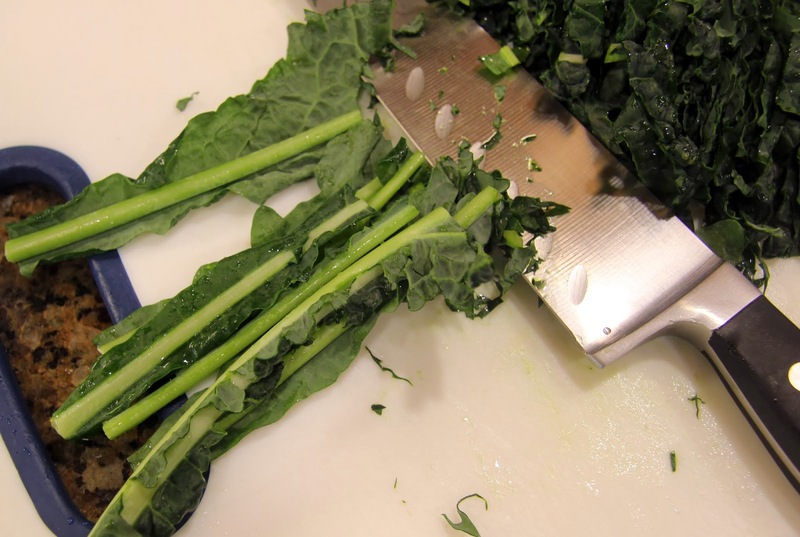 Slice kale into thin ribbons. 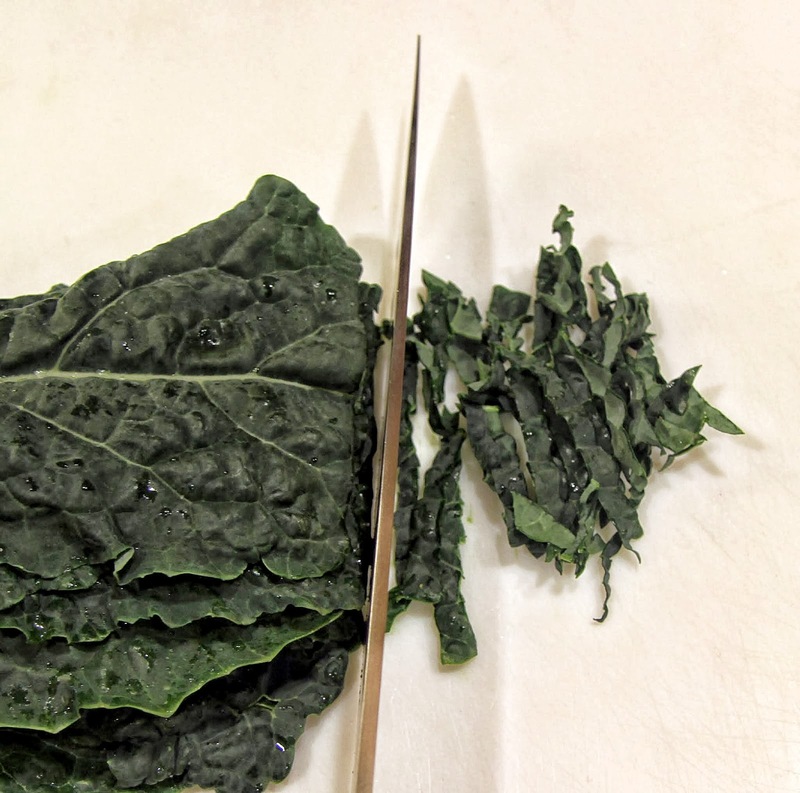 Remove and discard tough stems. 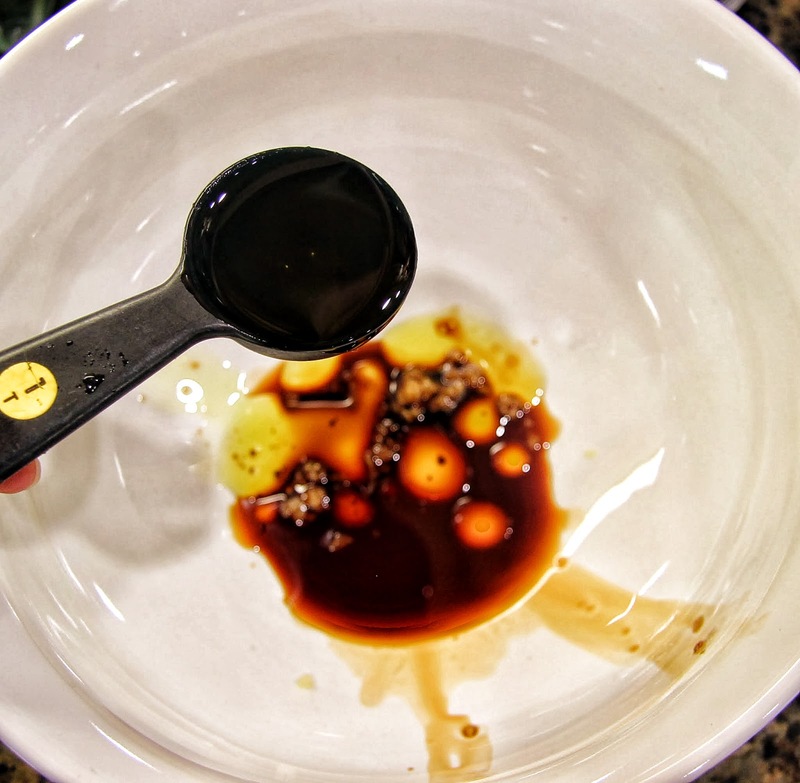 In medium size bowl, combine vinegar and oil. 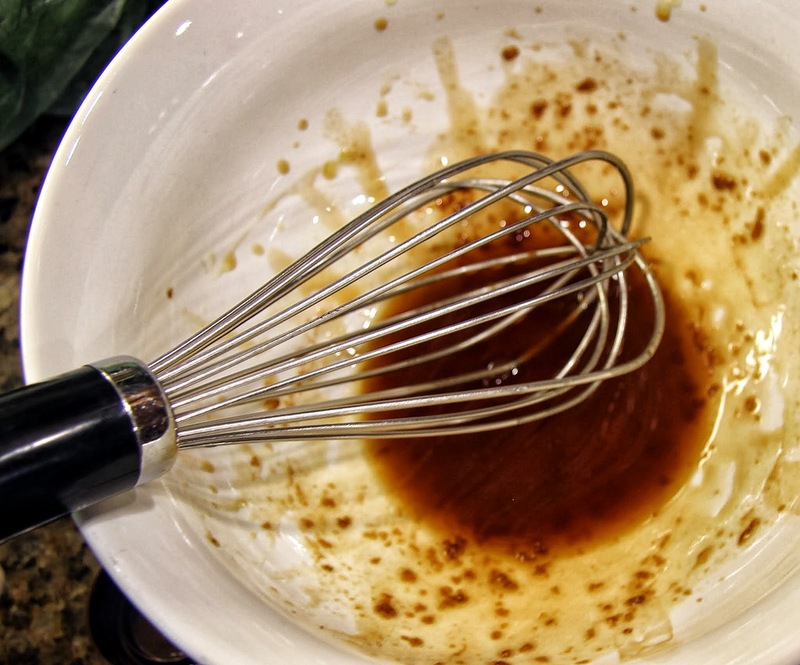 Whisk until emulsified (well combined). 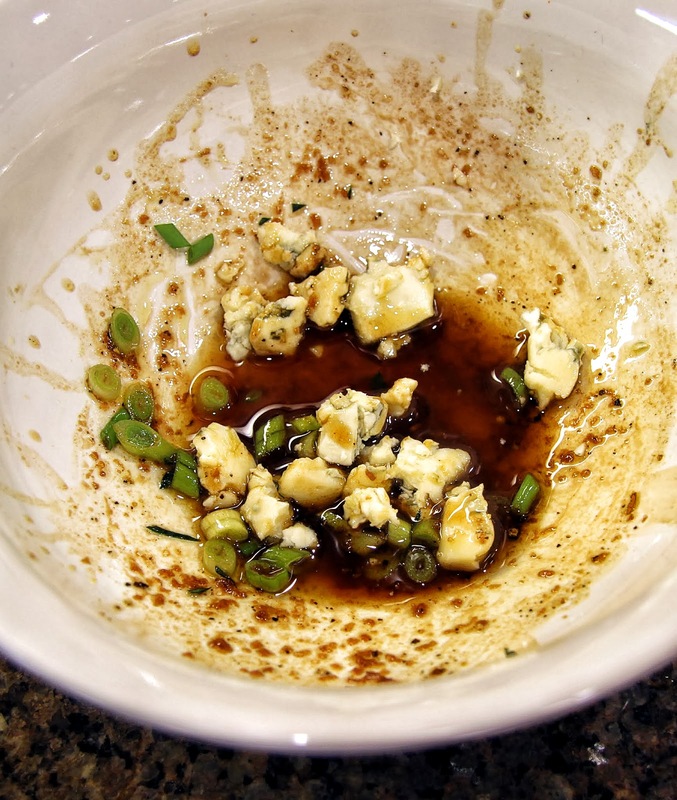 Add blue cheese, onion, salt and pepper. Then add kale and toss until all the leaves are coated with dressing. You can do this and set it aside while you finish preparing the rest of your meal. 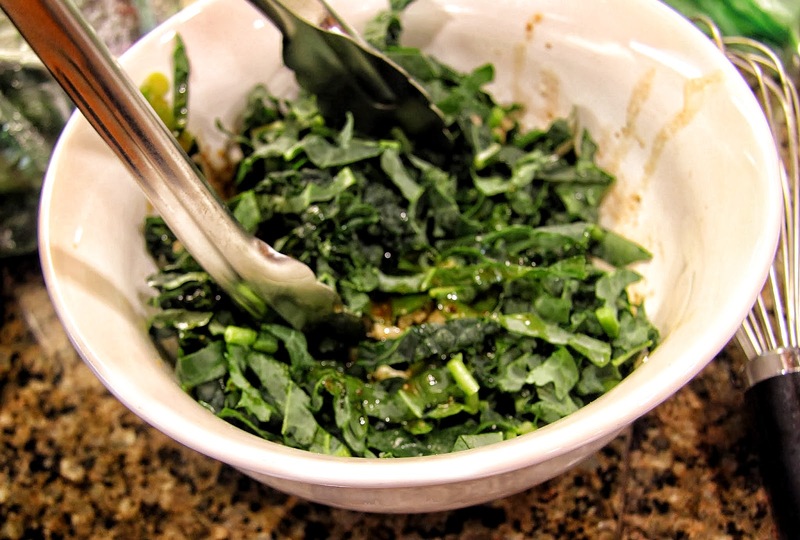 The longer the kale sits in the dressing, the more tender it will become. Just wait to add the nuts or they will get soggy. Just before serving, toss in the pecans. Divide onto two plates, add more ground pepper if you like and enjoy! Happy New Year! Cheers to a fresh start!! !